I feel like summer just arrived and already it is time to start talking school. Amazing! Somehow, this year is just flying by. Anyway I want to tell all of you about Locker Lookz. If you remember we covered Locker Lookz last year also, but they have come out with some new colors! Wait until you see them! Locker Lookz gives your student the ability to make their locker personal without damaging or leaving any residue behind. They have wall paper, that attaches with magnets, furry rugs for the bottom of the locker, mirrors, organizer bins, and photo frames. If you homeschool and don't have a locker, these can still be used at a desk, vanity, or any other area your child might like to personalize for themselves. Since we homeschool, my daughters personalized a space for themselves. They have a shelf in their room that they used to put out their Locker Lookz. 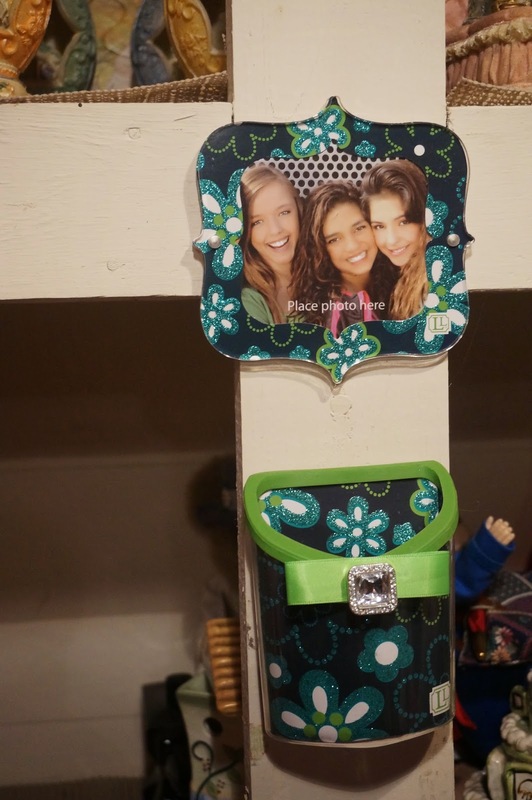 They haven't added a new picture to the frame yet, but I have a feeling it will be a picture of all four girls. Your child can easily add a photo of the family or some best friends. The little organizer pocket is perfect for pencils, pens, and any other little items. Paperclips, a stapler or scissors would also fit. The other item that they really like is the wipe-off message board. Perfect for leaving reminders or assignment deadlines. 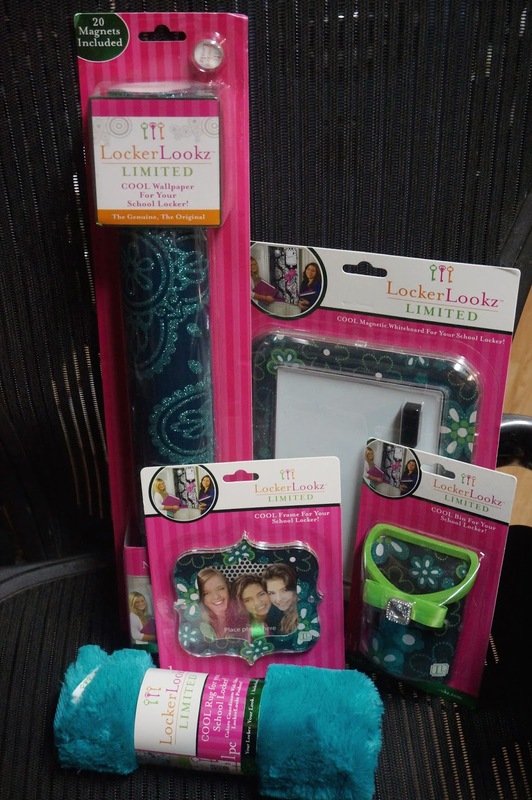 Locker Lookz has the option that allows your child to design their locker right on their site. You can mix and match until you find just the look your child likes. 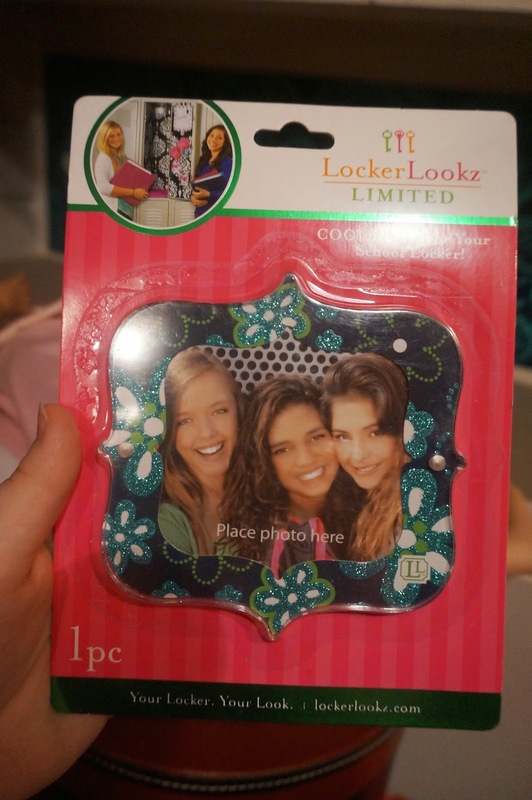 Next step is to find a store nearby that carries the Locker Lookz, or order online. Be sure to follow Locker Lookz on their social media pages to stay updated on their new designs! Take time to visit Hope's Cafe to see another style of the Locker Lookz. Then be sure to enter our giveaway. One winner will receive 1 Wallpaper, 1 rug and 3 accessories from Locker Lookz. My granddaughter would like the white beaded locker chandelier. We would both like the Purple Damask Print Glitter Locker Bin. This may be a duplicate comment: We would both like the Purple Damask Print Glitter Locker Bin. I think the Zebra Print Glitter Locker Wallpaper would be a big hit.